We have completed our pilgrimage through the wonderful Book of Genesis, the Gospel of Matthew, and the deeply spiritual book of Ecclesiastes. 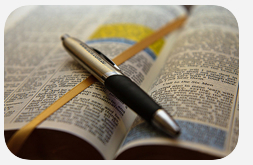 Now, join us for an in depth study of the Gospel of Luke from a Messianic Jewish perspective. We begin each session with a time where people can ask general biblical questions and we follow a discussion, dialogue form of study. The deeper we go into His Word, the closer we draw to Him and to each other. Bible Study is a discipline for good spiritual health and vitality and keeps our souls well fed. Hope to see you there! Thursday nights at 7:00 at St Timothy’s Anglican Church. View the archive of Yeshiva (Bible study) notes and outlines.